Like many other Norwegian cities with universities and colleges Kristiansand is also in deficit on college campus. Increased supply of good flats for students is an important success factor for the development of a student place. It can also provide a positive effect on the area’s overall business. Prestebekken Student Housing is a private initiative for the creation of more student housing in Kristiansand. 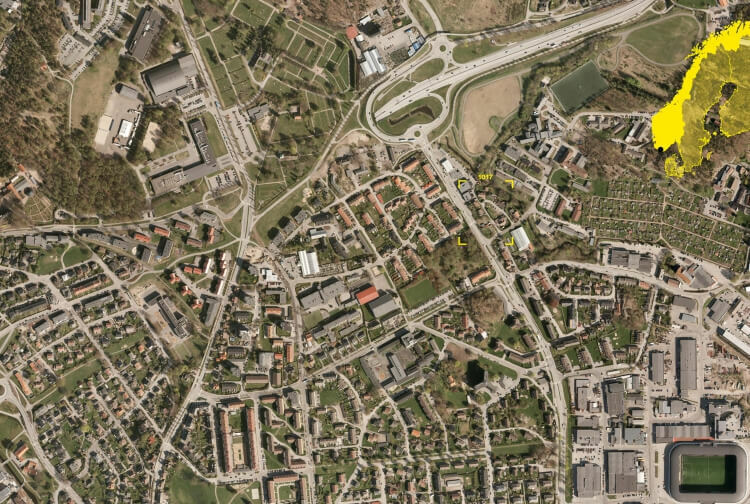 The current plot is very central in relation to the University campus and the core of the city in Kristiansand. The plot is included in the northern part of the ongoing regulation plan of Marvik Sletta containing intentions a significant residential and commercial infill, along with several public spaces and green corridors. The facility includes a large grocery store on the ground floor with common areas in stepped terraces.